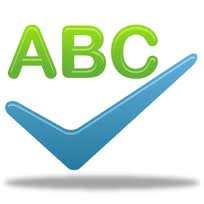 Trying to familiarize yourself with the thousands of text message and chat abbreviations can be overwhelming. I often find myself consulting with my teenage acquaintances and family members to stay on top of the most important ones. A client recently commented that she received a message from a colleague, but didn’t know what LOL meant. IMHO, I thought an intervention might be in order. This conversation actually reminded me of a funny story that my daughter once told me. If you can relate to the mom more than the daughter in this story, it is time to brush up on some abbreviations that you may find on your own cell phone! If you need more help, you can check out Text Messaging Survival Guide by Jack Shoeman, or “Google it!” The abbreviations are constantly evolving! Check out our communication products for non-native English speakers. Effective communication entails proper language, pronunciation, and writing skills. www.eslrules.com.